Home | Hudson Fish and Game Club, Inc. 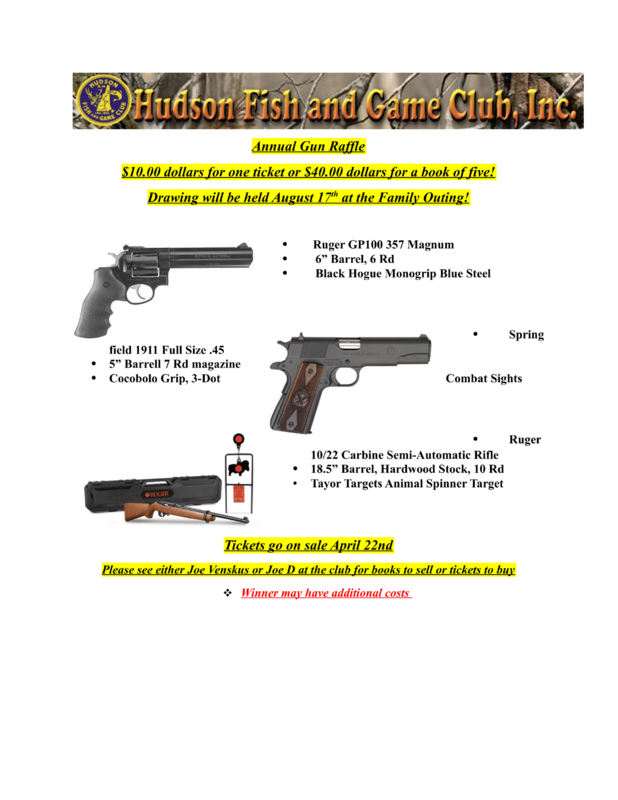 The Hudson Fish & Game Club, Inc. is located at 53 Pine Road, Hudson, New Hampshire, 03051. The Club incorporated in 1956 and is a 501(c)7 non-profit organization and registered with the State of New Hampshire. We are a 100% NRA Membership. As of February 12, 2019, Our Membership is at full capacity. As soon as there are any openings, we will post it. Thank you! 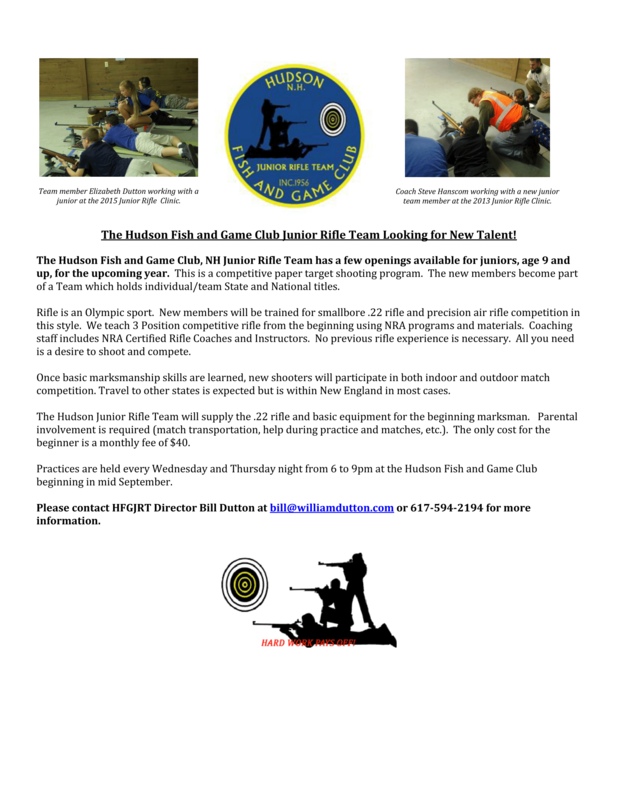 We promote all legitimate sport with rod, gun, archery, and fishing. We assist in enforcing the laws for the protection and propagation of fish and game within the State and help in securing legislation in connection with these purposes as may be necessary. We buy, sell, mortgage or lease real estate to further these purposes. We maintain a clubhouse and/or other buildings and generally promote social contacts of its members. We expend all income above and beyond operating expenses on charitable activities in accordance with our by-laws and our 501(c)7 status. FAQ: Our Club Outdoor Facilities and the public's use? We have received many questions (emails and phone calls) concerning whether our OUTDOOR FIREARM RANGES and STOCKED POND are open for public use. The short answer is they are NOT OPEN for PUBLIC USE and are located on private property! All our firearm ranges and stocked pond are for MEMBERS AND THEIR GUESTS ONLY . The general public shall not enter our property, enter or use our private pond, or outdoor ranges at anytime!. 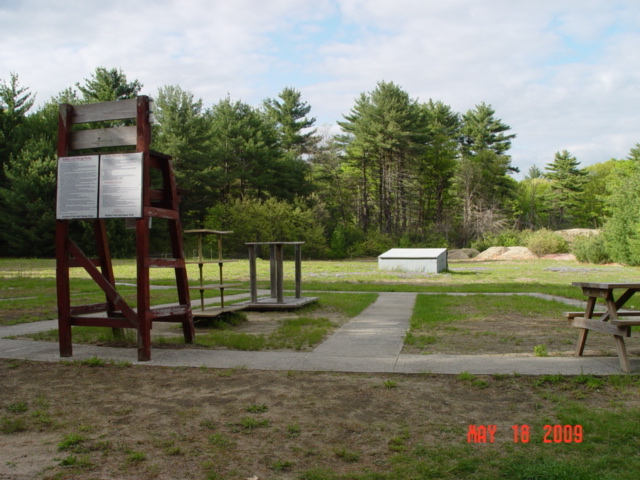 Also note that our property is marked as a outdoor Active Firing Range! Entering the property without authorization, or not escorted by a bona-fide active member, is deemed trespassing, and will be prosecuted to the fullest extent of the law. The only exceptions to the above statement is for club sanctioned events (like the Sunday morning "PUBLIC Trap Event". 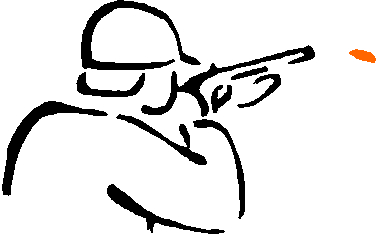 Please see the "HFGC Trap Shooting Page" for details.) and Private Party rentals (see Hall Rental webpage). Any questions, please use our website "Contact Us" page and send a message. You will be answered within 48 hours.